They Call Me Sir Book – The true story of the life of one Paradhi tribal boy. The true story of the life of one Paradhi tribal boy. It's heartwarming to see the impact that Prakash has had on this young man and his tribe. You and Loren continue to be used of the Lord in India. Thank you for sharing this story with me! Journey with Vasentha, a neglected Indian tribal boy as he becomes a respected leader in his community. From nobody to somebody all because one man did for one what he wished he could do for all. All royalties will be donated by the author to Prakash for India and Vet-Med Outreach. Vasentha was so scared he was unable to find his speech, even if he could have spoken Marathi proficiently. His tribal language was completely dissimilar. Thousands of thoughts came rushing through his head. Why​ did this doctor want to talk to him? This man could hurt me or steal my firewood, but he has a kind face and he is very clean and he has shoes. He has no police uniform. He will not do me harm, he concluded. What could he want with me, a poor Paradhi tribal boy? From nobody to somebody, all because one man did for one what he wished he could do for all." Sylvia H. Eckhardt has been traveling in India for over 50 years, first with her parents, who founded Prakash for India, and later with her husband Loren Eckhardt who is the current director of Prakash for India. Committing to finishing the writing of the book of unimaginable miracles in a young tribal boy’s life before she did the pen-and-ink drawings was a strain on her creative talents, but she persevered and now is proud of the results. 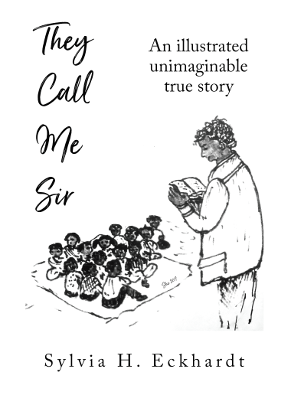 "They Call Me Sir" is the true story of the life of one Paradhi tribal boy. 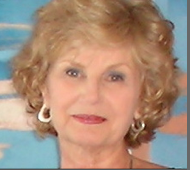 Sylvia has known him for over twenty years and is qualified to write this book. She is Nani. She lives with her husband, Loren, in Whitefish, MT and a former part-time staff member of North Point Ministries in Alpharetta, GA. Professionally; Sylvia is a certified interior designer still operating her own business for over thirty-five years.